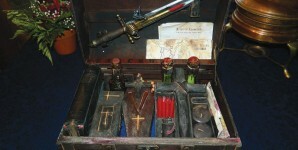 CRYSTOBAL is the creator of the world's finest Vampire Killing Kits. Original, premium-quality kits made by the master himself. These highly artistic & detailed kits are the best available on the market. 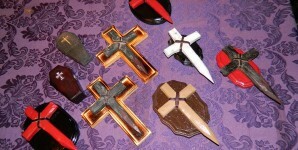 CRYSTOBAL also creates fun, collectible Vampire lore gifts and accessories. Many are one of a kind. All are fantastic. The latest info on CRYSTOBAL, items for sale on etsy and eBay, and custom orders.